The breathable mesh-and-leather Women's Terran Post II Sandal, with a bright pop of color, keep your foot feeling cool. 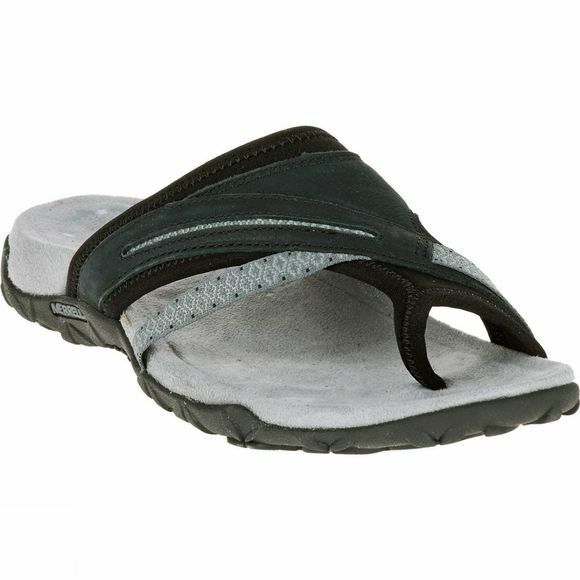 Remember Me Foam footbed cradles the foot for soft, all-day comfort. 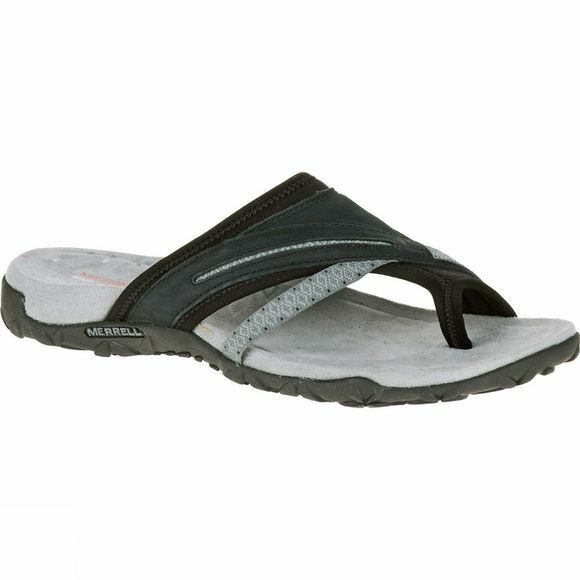 In the heel, Merrell's air cushioning absorbs shock and adds stability.